The Oxford Dictionary of National Biography is a collection of nearly 60,000 life stories of noteworthy Britons, from the Romans to the 21st century. 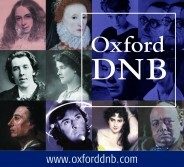 The ODNB is freely available via public libraries across the UK, and many libraries worldwide. Libraries offer remote access allowing members to gain access free, from home (or any other computer), 24 hours a day. You can also sample the ODNB with its changing selection of free content: a biography podcast with 200+ episodes; a topical Life of the Day, and historical people in the news via Twitter @odnb. The fifth of November is not just an excuse to marvel at sparklers, fireworks, and effigies; it is part of a national tradition that is based on one of the most famous moments in British political history. The Gunpowder Plot itself was actually foiled on the night of Monday 4 November, 1605. However, throughout the following day, Londoners were asked to light bonfires in order to celebrate the failure of the assassination attempt on King James I of England. Henceforth, the fifth of November has become known as ‘Bonfire Night’ or even ‘Guy Fawkes Night’ – named after the most posthumously famous of the thirteen conspirators. Guy Fawkes became the symbol for the conspirators after being caught during the failed treason attempt. For centuries after 1605, boys creating a cloaked effigy – based on Guy Fawkes’ disguised appearance in the Vaults at the House of Lords – have been asking for “a penny for the Guy”. Below is a timeline that describes the events leading up to the failed Gunpowder Plot and the execution of Guy Fawkes and his fellow conspirators. If you would like to learn more about Bonfire Night, you can explore the characters behind the Gunpowder Plot, the traditions associated with it, or simply learn how to throw the best Guy Fawkes Night party. Feature image credit: Guy Fawkes, by Crispijn van de Passe der Ältere. Public domain via Wikimedia Commons. Hannah Charters is Senior Marketing Executive for Online Products at Oxford University Press. She works on Oxford Scholarly Editions Online and VSI online amongst other products.